Novelist Catherine Fisher Named Young People's Laureate from BBC Wales. Peek: "It said the Young People's Laureate post is the first of its kind in the U.K. and aims to inspire young people in Wales to become involved with reading and creative writing." Martha Alderson, "The Plot Whisperer," from Janet Fox. Peek: "The first draft of a writing project is the generative phase. Rather than become dismayed when you are faced with a manuscript full of holes and missteps, even confusion and chaos, accept that this is part of the process." How to Combat the Fear of Rejection by Lisa Schroeder from Lisa's Little Corner of the Internet. Peek: "Live so you have no regrets." Three Questions for Children's Bookseller Meghan Goel from Publishers Weekly. Peek: "Meghan Goel, children’s book buyer at BookPeople in Austin, Tex., cues us in to the books she (and her customers) are looking forward to this season." Writer's Block Solution: Think Again by Kristi Holl from Writer's First Aid. Peek: "Get up and walk away. Do some jumping jacks. Take some deep breaths and stretch. Move to another place in the house to write. Do what is necessary to wake up your brain." Social Networking for Writers by Ash Krafton from QueryTracker.netBlog. Peek: "It's not going to do you any good to write an amazing book if you aren't going to do anything to promote it." 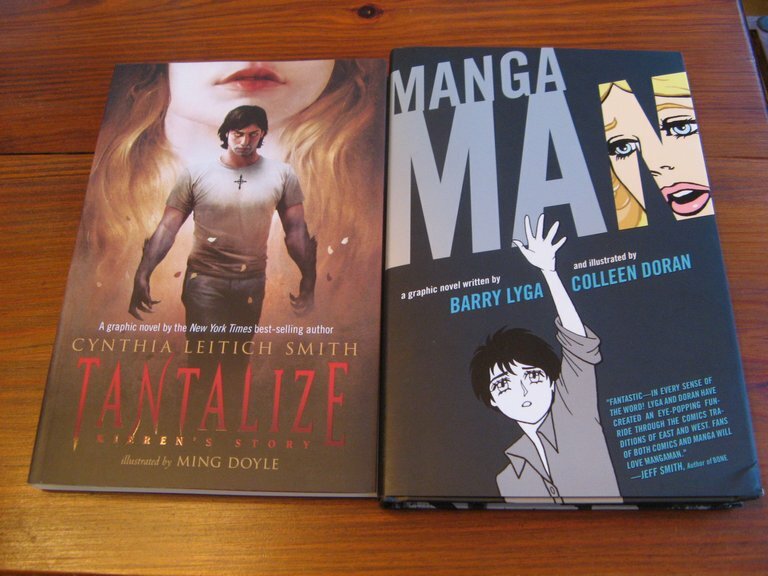 Congratulations to the YALSA Teens Top Ten from the American Library Association! Celebrate reading for teens all year 'round! See also the annotated list of 25 nominees, including Blessed. Visual Storytelling by Tanya Lee Stone from I.N.K. 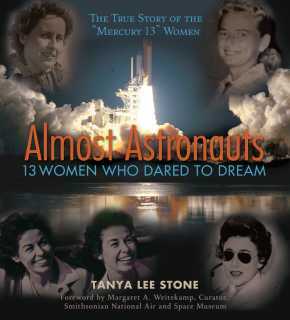 Interesting Nonfiction for Kids. Peek: "It is an opportunity to tell MORE of the story. To elaborate, both with an image and with its caption, upon an aspect of the story that did not necessarily belong smack dab in the middle of the text." Why We Write Kid Lit from The Brown Bookshelf: United in Story. A collection of inspiring personal insights. Writing Roots by Laura McGee Kvasnosky from Write at Your Own Risk. Peek: "Were I Mrs. Woodford, I would have laughed out loud. Such a serious subject matter for a kid -- plus she was death on what she called 'desperation rhymes,' a term she may have coined with me in mind. But what I knew from her was nothing but respect and admiration." Always Liesa Abrams by Erin Murphy from Always Erin: Erin Murphy Literary Agency Blog. Liesa is an executive editor at Aladdin (Simon & Schuster). Peek: "Liesa is full of great thoughts about illustrated middle-grade, humor in general, and what makes Liesa tick." 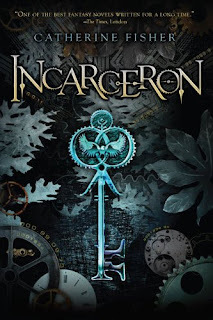 Review of Second Sight An Editor's Talks on Writing, Revising, & Publishing Books for Children and Young Adults by Cheryl Klein from Harold Underdown at The Purple Crayon. Peek: "...it goes beyond being a writing guide to get its readers thinking about the elements of good children's and YA literature, and to provide insight into the publishing process and the interests and personality of one particular editor." Heart and Soul: The History of America and African Americans by Kadir Nelson from Robin Smith at The Horn Book. Note: Do you think the book is a picture book or illustrated book? It's a key question for the Caldecott Award committee. See also Kadir Nelson Paints "The Heart and Soul" of America by Bob Minzesheimer from USA Today. Vermont College of Fine Arts Applauds Alumna Lauren Myracle from PR Newswire. 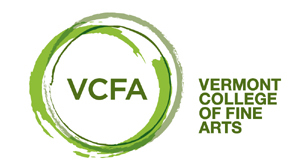 Peek: "'We are so proud of our faculty and alumnae,' said VCFA President Thomas Christopher Greene. 'All three books are deserving of attention, but we are especially proud of Lauren – for her grace, for her professionalism, and for her unswerving dedication to her many readers. We stand firmly behind her and the difficult decision she has made.'" For context, see Lauren Myracle Withdraws Shine from National Book Awards by Julie Bosman from The New York Times. Note: Learn more about and celebrate the remaining children's-YA finalists for the National Book Award, including VCFA alumna Debby Dahl Edwardson and VCFA faculty member Franny Billingsley. Looking for more of links? 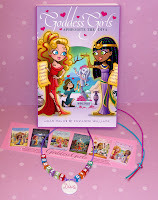 See the round-up (which points to even more) from Adventures in Children's Publishing. 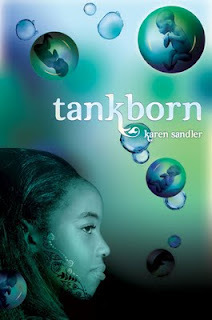 In celebration of Tankborn by Karen Sandler (2011), Tu editor Stacy Whitman is offering a critique of the first 10 pages of a middle grade (ages 8-12) or young adult (ages 12 and up) manuscript. The manuscript should be fiction (no nonfiction or picture books). Though she specializes in fantasy, science fiction, and mystery, other genres such as realism are welcome. Her response will include a fifteen-minute phone call with the author and short, written notes about the submitted work. The winner will have three weeks to submit an excerpt for critique, and the critique and phone call will occur within two weeks after that. The phone call may also touch on any questions the author has about the audience or market for the book, the publishing and submitting process, etc. To enter, comment on this post (click preceding link and scroll) and include an email address (formatted like: cynthia at cynthialeitichsmith dot com) to foil spanners or a link to an email address. Or you can email Cynthia directly. An extra entry will go to those who, in a comment, ask Stacy or Karen a question or make a related observation. Additional extra entries will go to those who tweet, blog, or otherwise promote this link/giveaway. Please indicate your efforts/URLs in your comment. Limit five entries. Eligibility for this critique giveaway is international! However, if the winner is from outside the United States, Stacy will confer via Skype instead of by phone. Deadline: midnight CST Oct. 24. Don't miss the conversation in the comments with Stacy and Karen (scroll to view). Peek from Stacy: "Whether or not you want to worry about a cultural expert before submission depends on how confident you are in your research, I suppose. Generally I'll always want my own expert to take a look as well, either before acquisitions if it's a culture I'm not familiar with or after if I feel I know enough to acquire the book, if the writer is not from the culture he or she is writing about." See also Author Karen Sandler & Editor Stacy Whitman from Cynsations. New! Enter to win an ARC of Blessed by Cynthia Leitich Smith from Melissa at Just One Opinion. Deadline: Nov. 1. See more information. 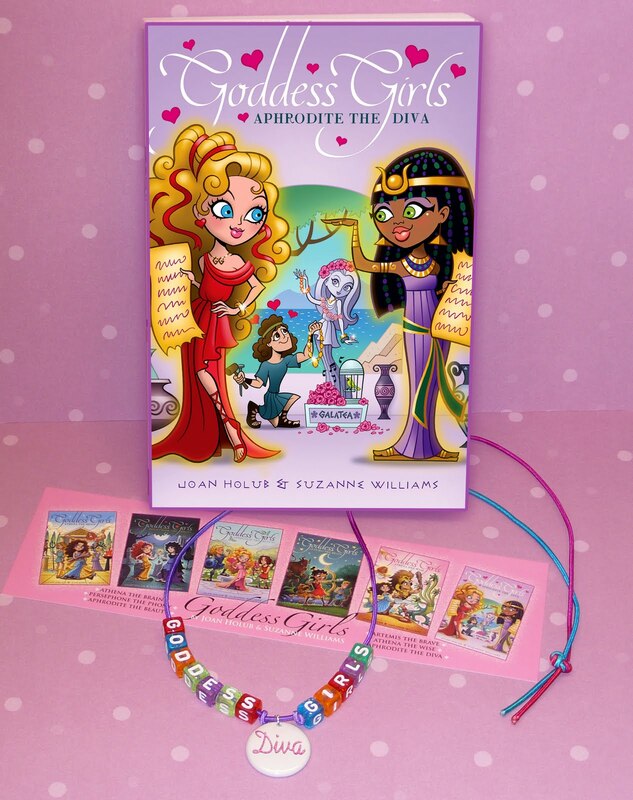 Enter to win an Aphrodite the Diva Swag Giveaway, courtesy of authors Joan Holub and Suzanne Williams. To enter, comment on this post (click immediately preceding link and scroll) and include an email address (formatted like: cynthia at cynthialeitichsmith dot com) or a link to an email address. Or you can email me directly with "Aphrodite the Diva" in the subject line. Author-sponsored. Eligibility: U.S./Canada entries only. Deadline: Oct. 23. 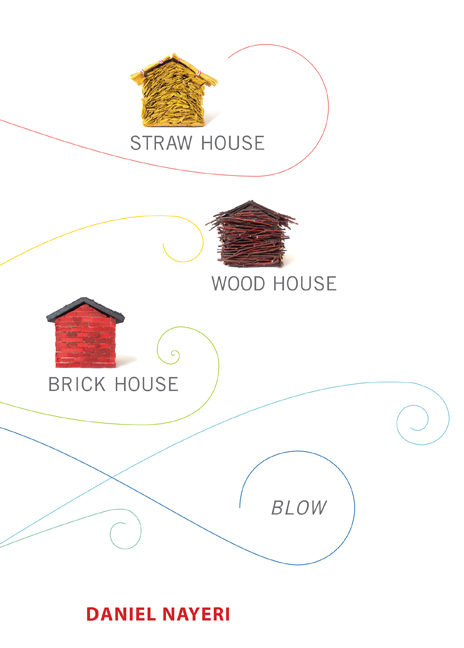 Enter to win a copy of Straw House, Wood House, Brick House, Blow by Daniel Nayeri (Candlewick, 2011). The book features a quartet of YA novellas, written entirely on an iPhone. Check out these book commercials for each of the novellas. Peek from Daniel: "I'd love to see more book commercials, instead of trailers. From a writer's perspective, they didn't mess around with a story that I spent years laboring over. They made their own thing." To enter, comment on this post (click the preceding link and scroll) and include an email address (formatted like: cynthia at cynthialeitichsmith dot com) or a link to an email address. Or you can email me directly with "Straw House" in the subject line. Publisher sponsored. Eligibility: U.S./Canada entries only. Deadline: Oct. 24. Enter to win a paperback copy of The Adventurous Deeds of Deadwood Jones by Helen Hemphill (Front Street, 2008/Boyds Mills, 2011). To enter, comment on this post (click the preceding link and scroll) and include an email address (formatted like: cynthia at cynthialeitichsmith dot com) or a link to an email address. Or email Cynthia directly with "Deadwood Jones" in the subject line. Author-sponsored. Eligibility: U.S./Canada entries only. Deadline: midnight CST Oct. 31. 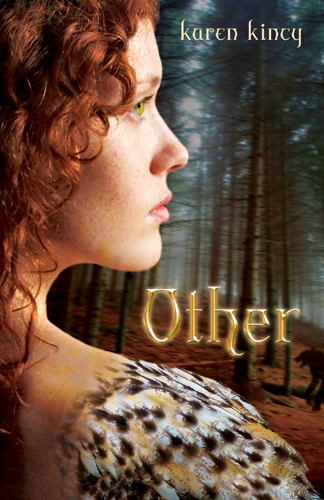 The winner of Other by Karen Kincy (Flux, 2010) was Vivien in Kansas. The winner of Bloodborn by Karen Kincy (Flux, 2011) was Sherrie in California. The first prize winner of the latest Tantalize series giveaway was Amanda in Texas (USA), who will receive copies of Blessed, Tantalize: Kieren's Story and a gray Sanguini's Cell Phones Will Be Eaten T-shirt. The second prize winner, Mary from Queensland (Australia), won book, and the third prize winner, Karis in Ontario (Canada) will receive Tantalize: Kieren's Story. Note: second and third prize winners were given the opportunity to choose between my 2011 releases. Still longing for a T-shirt? Shop Sanguini's at CafePress. My first iBook: Bringing an OP picture book back to life by Loreen Leedy from e is for book. Peek: "The key to making it possible was a new, inexpensive iPad app called Book Creator that went on sale in September. The app allows you to make what is known as a fixed-layout EPUB in the size and format that works for the iBooks app, without having to code (double-yay!)." Thanks so much to Beth Wrenn-Estes and her class at the School of Library and Information Services at San Jose State University for their hospitality at last night's online chat about Tantalize! I'm thrilled for all the finalists for the National Book Award, including pal Debby Dahl Edwardson, who'll soon be joining us at Cynsations. 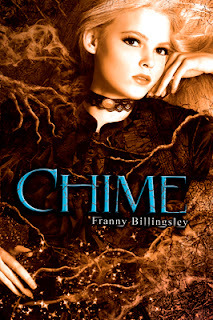 However, I wanted to offer a special shout out to Franny Billingsley on her nod for Chime (Dial, 2011). I had the honor of taking a peek at an early draft of the manuscript for a private workshop held here at the house, and I know that Franny put years of thought, care and her own brand of magic into every word. Brava! Along with Blessed (in Fantasy & Science Fiction), I'm pleased to report that my latest release, Tantalize: Kieren's Story, illustrated by Ming Doyle, has been nominated for the Cybils in the Graphic Novel category. Nominate a book for the Cybils 2011! Library Media Connection says of Tantalize: Kieren's Story: "The characters are well developed and the graphic novel format enhances the storyline. This popular novel, redone as a graphic novel, is a quick read for those who enjoy action with some romance. Smith has set up the story to continue in a sequel and leaves the reader wanting more." Note: the librarian, L.J. Martin, who wrote the review is from Dubai, United Arab Emirates, which caught my eye as it's the first "sighting" of one of my books there. Part 2: The Cynsation of Cynthia Leitich Smith from Teen Voices: Changing the World of Girls Through Media. Peek: "For new voices, it’s not about finishing that first book and getting it published. It’s about preparing yourself to write the best first book you can and then another one and another, enjoying the process along the way." Don't miss Part 1. Thanks to Amy at A Simple Love of Reading for naming Diabolical (Candlewick, 2012) a "future favorite"! Congratulations to Anindita Basu Sempere on 10 years of blogging! Wow! Enter to win an ARC of Blessed by Cynthia Leitich Smith from Melissa at Just One Opinion. Deadline: Nov. 1. See more information. How Do Fantasy Authors Celebrate Halloween? More Than One Way to Read with Barry Lyga and Cynthia Leitich Smith from 11:30 to 12:30 in Capitol Extension Room E2.010 Oct. 22 at the Texas Book Festival. Signings to follow. A collaboration with Austin Bat Cave featuring the Festival's young adult writers will be from 9 p.m. to 9:45 p.m. Saturday, Oct. 22 at Texas State Cemetery. Storytimes, interactive tent will get kids excited about reading: Tots can meet authors of popular picture books, while teens have their own events by Sharyn Vane from The Austin American-Statesman. Peek: "The spotlight is on graphic novels at the 'More Than One Way to Read' panel, with Mangaman's Barry Lyga and Cynthia Leitich Smith, whose Tantalize: Kieren's Story sketches further the supernatural Austin she has explored in three prose novels..."
See also 2011 Texas Book Festival Children's-YA Programming from Greg Leitich Smith at GregLSBlog.